Andrew S. Erickson and Joel Wuthnow, “Barriers, Springboards and Benchmarks: China Conceptualizes the Pacific ‘Island Chains’,” The China Quarterly 225 (March 2016): 1-22. Download PDF version directly (access required). This FirstView version of the article, also know as a final Version of Record (VoR), hereby replaces the Accepted Manuscript (AM) [a preliminary version of the article], the contents of which differ slightly and which is now obsolete. Henceforth, any formal citations and page numbers should quote and otherwise reference only the VoR listed above. Thank you for your understanding! US government reports describe Chinese-conceived “island chains” in the Western Pacific as narrow demarcations for Chinese “counter-intervention” operations to defeat US and allied forces in altercations over contested territorial claims. The sparse scholarship available does little to contest this excessively myopic assertion. 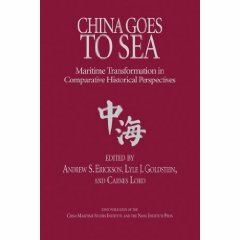 Yet, further examination reveals meaningful differences that can greatly enhance an understanding of Chinese views of the “island chains” concept, and with it important aspects of China’s efforts to develop as a maritime power. Long before China had a navy or naval strategists worthy of the name, the concept had originated and been developed for decades by previous great powers vying for Asia-Pacific influence. 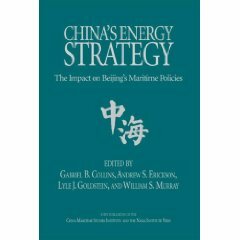 Today, China’s own authoritative interpretations are flexible, nuanced and multifaceted – befitting the multiple and sometimes contradictory factors with which Beijing must contend in managing its meteoric maritime rise. These include the growing importance of sea lane security at increasing distances and levels of operational intensity. * These are the authors’ personal views, and not those of their respective institutions. For comments on earlier drafts, the authors thank Dennis Blasko, M. Taylor Fravel, Ryan D. Martinson, Ivan Rasmussen, Al Willner, and three anonymous reviewers. Outside observers naturally seek to understand the geostrategic basis for China’s rapid maritime development. Accordingly, US scholarship and government documents regularly make assertions about Chinese military views of Western Pacific “island chains” (daolian 岛链). In many cases, the argument is that the People’s Liberation Army (PLA) uses the island chains as benchmarks for a potential “counter-intervention” campaign directed against US and allied forces in the region. However, these analyses rarely document evidence from PLA sources. This raises important questions: how do Chinese strategists themselves define “island chains,” and how do they assess them operationally and strategically? Drawing on manifold underutilized Chinese sources, we contend that the island chains concept is foreign in origin but adopted and reinterpreted in China, and that authoritative Chinese interpretations are flexible, nuanced and multifaceted. Geographically, Chinese writings offer varying definitions of the island chains, with some considerably more expansive than others. More importantly, Chinese sources offer diverse perspectives on the island chains’ operational and strategic significance. 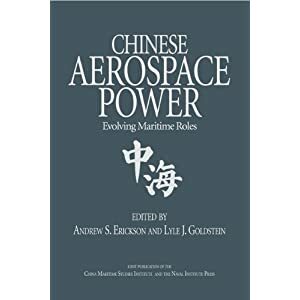 In particular, various Chinese authors assert that the island chains are (1) barriers that China must penetrate to achieve freedom of manoeuvre in the maritime domain; (2) springboards for power projection by whomever controls a given island chain; and (3) benchmarks for the advancement of Chinese maritime and air force projection in the Asia-Pacific. In each of these respects, the discourse on the island chains provides valuable insight into how the PLA is thinking about the challenges and opportunities facing China as it seeks to become a maritime power. The Western Pacific “island chains” are a persistent feature of Asia’s maritime geography. While their underlying fundaments remain constant, their specific strategic importance has evolved over time. Different major powers have thus interpreted, then re-interpreted and re-evaluated, the value of particular islands, the role they play in national military strategy, and their operational significance in a warfighting context. Chinese naval strategists such as former naval commander Admiral Liu Huaqing have devoted considerable attention to the island chains since the mid-1980s, examining how and where the island chains can hinder or support China’s maritime goals. Yet Chinese strategists are hardly unique in their efforts—military theorists and planners from Germany, Japan and the United States have all pondered the geopolitics of the islands and archipelagos of the Western Pacific, during both peacetime and wartime. To understand the progression of Chinese views, and more recent debates among U.S., Japanese and Chinese strategists, we must trace this lineage of strategic ideas that stretches back more than a century. The earliest known inklings of island chain-related concepts are intertwined with imperial Germany’s Pacific involvement at the turn of the twentieth century, just as the United States was taking possession of Spain’s previous colonial Pacific territories of Guam and the Philippines. Germany’s tenure as a Pacific colonial power—having acquired the Mariana Islands; and the Caroline Islands, including Palau; from Spain in the aftermath of the Spanish-American War of 1898—coincided with the early writing career of Major General Karl Ernst Haushofer. Serving as a military attaché to Japan from 1908 to 1910, Haushofer was preoccupied with the geopolitics of the Pacific, penning several books on the subject. He regarded the “offshore island arcs” of what he termed the “Indo-Pacific realm” as important geopolitical features providing a useful “protective veil” sheltering continental powers such as China and India. Japan, for its part, was already a major Pacific sea power at the turn of the twentieth century, having defeated the Chinese Navy and seized Taiwan in 1895. As its maritime strength increased, Tokyo gave careful attention to the strategic value of different islands and archipelagos in the Western Pacific. During World War I, a Japanese expeditionary force wrested control over several Micronesian islands from imperial Germany. These were not only useful stepping stones in Japan’s “southward turn,” focused on exploiting Southeast Asia’s economic and natural resources, but also served as a valuable strategic buffer. In particular, control over Micronesia (chiefly the Mariana, Marshall, and Caroline islands; the last, notably, including Palau) was seen as a hedge against the possibility that the United States would use its bases in Guam and on the Philippines to threaten Japan in a future conflict. U.S. military theorist Milan Vego explains how Japan took steps to solidify its control over Micronesian islands in the decades following World War I. Vego observes that the Japanese government embarked on a significant settlement and economic campaign during the 1920s and 1930s. The number of Japanese settlers on the islands eventually outnumbered the native islanders. In 1935, Vego notes, Japan withdrew from the League of Nations and its islands became “closed territories,” with Westerners restricted from entry. Christopher P. Cavas, “Powers Jockey for Pacific Island Chain Influence,” Defense News, 1 February 2016. “Many Chinese writings express concerns that the chains can be used as springboards for projection and forces against China. 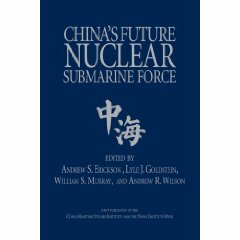 But some sources imagine future contingencies where China itself might have growing influence and presence, with Taiwan being most relevant in that regard,” Erickson said. Senior officials and analysts in the West frequently refer to the first and second island chains ringing China to describe both the region’s geography and predict Chinese intentions. Erickson, in a new paper co-authored with Joel Wuthnow of the National Defense University and published in The China Quarterly, carried out a comprehensive, five-year examination of Chinese literature to determine how mainland China views the chains. He reported that the idea originated in the west during the Cold War – Chinese sources often credit 1950s US Secretary of State John Foster Dulles as the concept’s progenitor. But the notion, Erickson pointed out, isn’t new – it derives from the region’s physical characteristics. Still, the chains have risen in political thinking to become benchmarks that in many ways define the field of play as China’s regional maritime power expands. China’s development of short-range ballistic missiles is also related to its thinking about the first island chain, Erickson said. China’s recently aggressive island-building strategy, Erickson observed, is related to the springboard and barrier concepts. Before World War II, Japan also described the western Pacific in island chain terms.